The DPSST Armed Security Course is a 24 hour class, which is broken into three 8 hour days. The first two days consist of in-depth classroom based lectures. Topics include: firearm safety, handgun nomenclature, ammunition, weapons maintenance, gear considerations, officer responsibilities, legal definitions, proper decision making, use of force, post shooting procedures, and decision making scenarios. At the end of the second day students will take a 30 question closed book test. 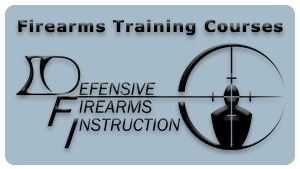 Students must successfully complete the two days of lecture and written test before they will be permitted to attend the range portion of the training. The third day of training is conducted entirely on the range where we start by reviewing the cardinal safety rules and mindset. The hands on component starts with proper weapons handling, drawing, reloading, clearing weapons malfunctions, and fundamentals of marksmanship. Prior to the live fire portion of the range students will take the DPSST Private Security Safe Gun Handling Assessment. Upon successful completion of the DPSST Private Security Safe Gun Handling Assessment, students will begin the live fire portion of the course. The live fire component covers shooting from numerous positions, all of which are part of the qualification course. Students then have three attempts to successfully pass the DPSST Private Security Handgun Proficiency Qualification Course. It is important to remember that class fees/range fees are paid directly to Defensive Firearms Instruction, which is separate from the state certification fee which is paid to DPSST Private Security upon submitting the application. If an applicant is submitting both the Unarmed and Armed application at the same time, the state fee is $105.00. If an applicant is adding an Armed Security certification, the state upgrade fee is $20.00. State fees need to be made out to “DPSST Private Security”, and can be made payable by Money Order, DPSST Credit Card Form, Cashier’s Check, or Business Check. 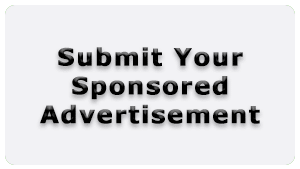 Each student is required to submit their application within 180 days of the completion of the course and the DPSST Armed Security Certification is good for a period of two years. Applicants are not authorized to work as an Armed Private Security Professional until their application has been submitted and they have their physical card in hand. Individuals who are certified as an Armed Private Security Professional are required annually to successfully complete a minimum of 4 hours of Armed Security Training, which includes the DPSST Private Security Safe Gun Handling assessment, DPSST Private Security Handgun Proficiency Qualification Course, and the 30 question closed book written examination. Students who successfully complete this course will receive the required paperwork to submit for their Oregon Concealed Handgun License as part of the course. Individuals also have the option for obtaining their Utah Concealed Firearm Permit for an additional $20.00.